Home Community We’re giving away 20 free tokens! We’re giving away 20 free tokens! Hey pet salon owners! 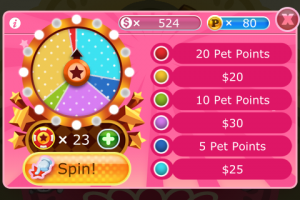 If you like the Daily Bonus in Pretty Pet Salon and Pretty Pet Salon Seasons, we have special gift for you this weekend. For one time only, we’re giving away 20 free tokens that you can use to spin the Daily Bonus wheel, no catch and no strings attached! In Pretty Pet Salon and Pretty Pet Salon Seasons, just tap on the “Download New Levels” button in the main menu screen to see a list of downloadable content. 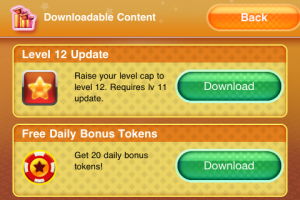 Find the “Free Daily Bonus Tokens” at the bottom of the list and tap “Download”. That’s all there is to it – but remember, you only get the tokens once, not every day! Next time you check your Daily Bonus window, your free tokens will be there ready to be spent on getting more free stuff. This giveaway won’t be around for long, so download the free tokens now! Have fun, and good luck!